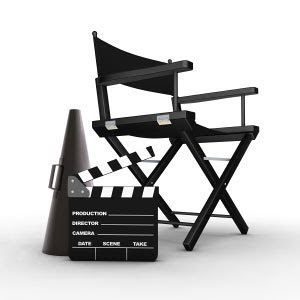 Cam's Cinematic Episodes: 2010's Top 5 Most Intriguing Upcoming Films! 2010's Top 5 Most Intriguing Upcoming Films! Well, that’s because these five selections constitute the most intriguing projects on the horizon; films with little advertising presence or explicit advance buzz. Movies that are question marks, as opposed to exclamation marks. The aforementioned three, er two biggies — plus Alice in Wonderland, The A-Team, Tron: Legacy and the like — lack the mystery and creative innovativeness to make this particular list. As exciting as they seem, there’s precious little uncertainty to lay awake pondering and speculating over. Rather, these five choices are the films I’m most eager to see unleashed onto audiences in 2010. They may be disasters or they could prove to be masterpieces, but either way there’s an irresistible air of secrecy and uniqueness around them that has me impatient to uncover whatever hidden genius may be burning within. So, on that note, enjoy. 5. THE RUNAWAYS (March 19, 2010 – limited): This rock biopic of the famous titular ’70s teen band is based on lead singer Cherie Currie’s memoir Neon Angel and bears all the markings of being a rivetingly authentic, down ‘n dirty journey through the alternately glitzy and soul-killingly cruel music industry meat-grinder. Packed with a number of Hollywood It! Girls — including Dakota Fanning as Currie, Twilight’s Kristen Stewart as Joan Jett and Halloween’s Scout Taylor-Compton as Lita Ford — The Runaways could provide a spectacularly raw showcase for these actresses to wow audiences turned off by their previous less-than-stellar genre-based work. Directed by Floria Sigismondi – who helmed two of Marilyn Manson’s most visually inventive and influential videos in “The Beautiful People” and “Tourniquet” – and backed by a no-doubt killer soundtrack, this flick packs serious Devil Horn-waving potential. Check out the short teaser here. 4. 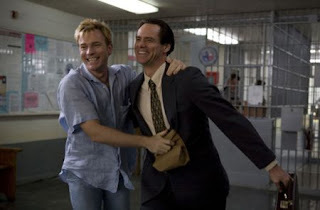 I LOVE YOU PHILLIP MORRIS (March 26, 2010 – limited): Although Jim Carrey has yet to receive many accolades for his dramatic work, his output has been exceedingly strong – minus The Number 23 – so I’m really eager to see this quirky homosexual love story pairing him against the always reliable Ewan McGregor. Walking a fine line between comedy and heartfelt drama, Phillip Mo rris chronicles the true-life tale of a happily married southern policeman who — following a fateful tragic accident — considerably alters the course of his life, switching teams, as it were, and living life on a the wild side. After meeting McGregor’s character in a prison stint, Carey’s Steven Russell becomes obsessed with breaking his newfound love out of the clink, and a game of twisty conman-ship begins. The film has supposedly been stuck on the shelf for a while, with the studio unsure of how to market a project filled with unabashedly gay material, but, personally, I can’t wait to see what the rubber-faced funny-man can do with such a challenging role. Who knows, if it clicks, it may even earn him his first long-awaited Oscar nomination. Time will tell. 3. BLACK SWAN (2010): What in the name of One-Eyed Odin is Darren Aronofsky up to with this supernatural ballet thriller? You can read a little more about my thoughts — and some character details — regarding the project in a past news story I did for It’s Just Movies, but let me add that I’m truly fascinated by whatever it is the crafty director is up to. I’m also desperately hoping that Aronofsky can really launch Mila Kunis – a ridiculously charismatic A-list talent in the making – into the stratosphere while also weaving another character-driven cinematic tapestry worthy of deep contemplation and critical analysis. Maybe Black Swan can also give the director’s sadly underwhelming box-office reputation a much-needed boost. The promise of Kunis and Natalie Portman in tights can’t hurt too much. 2. THE FIGHTER (2010): Helmed by notoriously combustible auteur David O. Russell, this based-on-true-events drama details the burgeoning early career of “Irish” Mickey Ward (Mark Wahlberg), a boxer on his way to the light welterweight-level pros with the help of his recovering drug addict half-brother Dickie Eklund (Christian Bale). With supporting assistance from Academy Award-nominees Amy Ad ams and Melissa Leo, this project has all the bearings and prestige of being a 2010 Oscar dark-horse. Besides the appeal of the gritty underdog story, what really has me drooling in anticipation over The Fighter is the early buzz surrounding Bale’s go-for-broke performance, wherein he apparently disappears under the wounded skin of his emotionally-damaged character. 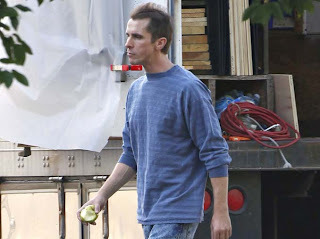 Early spy pics reveal an emaciated shell of a man – a welcome departure from the gruff, tormented heroes he’s specialized in as of late – which will hopefully remind forgetful critics and ticket-buyers of the actor’s chameleon-like ability to distort and manipulate his own image when required. If Russell can hold the whole shebang together, we may have a serious contender on our hands. 1. INCEPTION (July 16, 2010): Do you even have to ask why? This is Christopher Nolan’s big dice-roll; a chance to parlay his gargantuan Dark Knight success into an epic-sized $200-million-dollar passion project largely free of studio interference and outside input. Whatever the results, Inception promises to be Nolan 100 percent un filtered, exploring his own obsessions (identity confusion, perhaps?) on the biggest canvas with the biggest, most talented stars — including Leonardo DiCaprio, Ellen Page, Joseph Gordon-Levitt, Michael Caine, Marion Cotillard — possible. What is it about? I don’t want to know until I walk out of the midnight advance showing. However, after such glorious mind-f***’s as Memento and The Prestige, my expectations are mighty high. Fortunately, Mr. Nolan — one of the most dependable directors currently toiling in the biz of show — is thus far seemingly incapable of producing work that doesn’t surprise and leave us begging for more. You can try to unlock Inception's latest trailer here. Your entire list is impressive but as a fan of supernatural movies, I always love to watch Black Swan, a supernatural thriller at 123movies - Free Movie Streaming Place without the hassle of ads. On the other hand, Inception is also a good movie especially the presence of Christopher Nolan making it worth watching for girls. Most of these movies did a good business but few have also flopped. I hope filmmakers will concentrate more to make more thrilling and interesting movies this year. Keep watching movies online at 123 movies - scr.cr . However, in your list 'The Fighter' is my favourite one. The Worst Films of 2009!